Back when I was planning to design a digital archive, I had started to take photos around New York City of Indian American events. In April and August, the city had two annual parades, one honoring Sikhs, and another for Indian Independence Day. The IAHP is looking for community-generated content, so when I mentioned that I had taken photographs to Masum, she asked if I would like feature some of them in the future exhibition. Of course, I said yes! The photos selected are shown above. At the end of Thesis I, I had been leaning towards designing a digital archive of Indian American artifacts curated by my friends and family. Once I spoke with Masum, I decided to change direction. The IAHP presented a wonderful opportunity to pursue my thesis in a live setting, and on a much larger scale. I was attracted to the IAHP’s efforts to build an exhibition that was partially curated through the contributions of Indian Americans. Their desire to create a digital multimedia archive of artifacts was one I shared. My research supported that a participatory archive of factual records was the best way to document a collective cultural history. 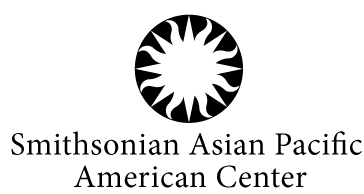 The IAHP is groundbreaking because it is the first significant effort on a national scale and by a federal organization to document Indian American history. The Smithsonian Institution was established in 1846 and today, is the world’s largest museum and research complex with 19 museums, 9 research centers and more than 140 affiliate museums around the world.